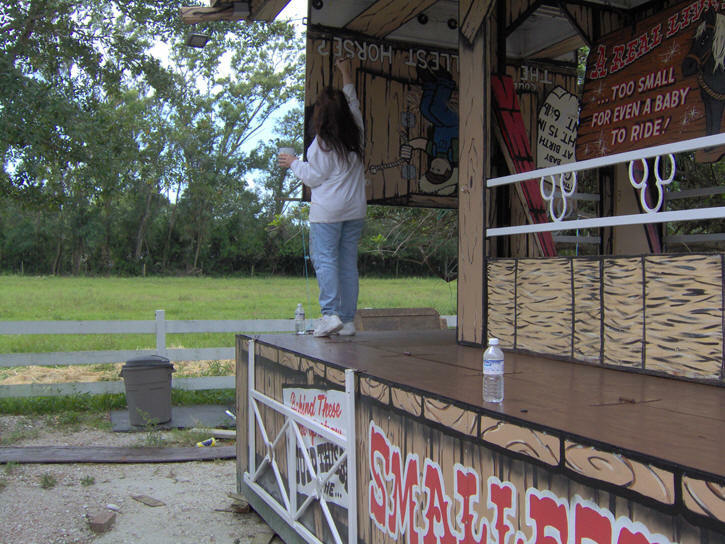 Tracy has been painting Tom Beimborns shows (LG horse and steer, LG pig, LG gator and SM horse) for the last 6 or 7 yrs. 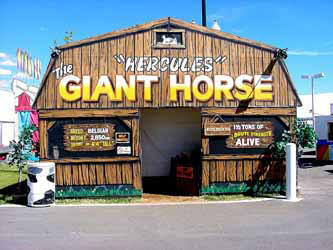 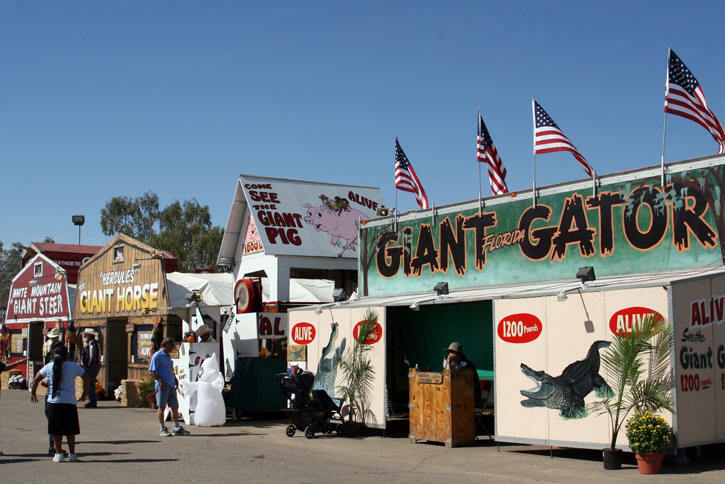 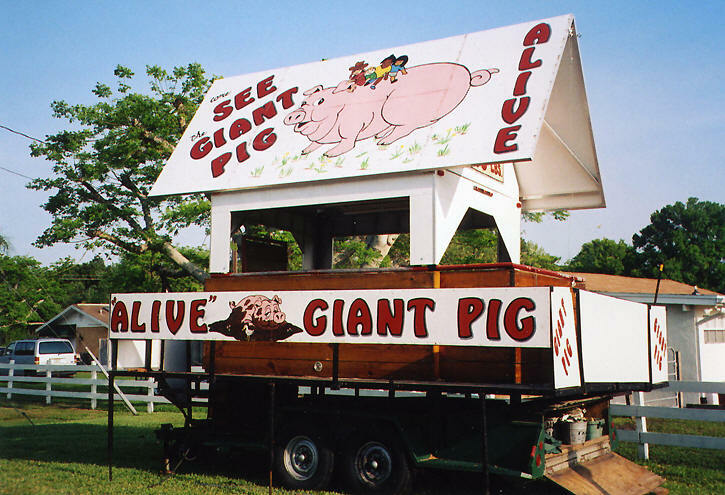 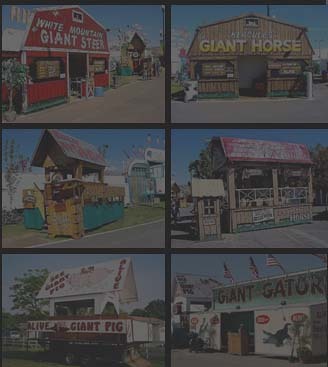 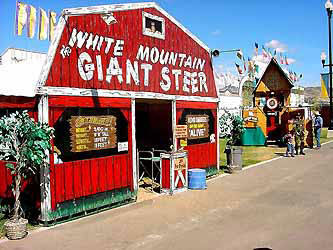 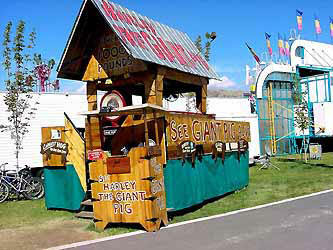 Here are some of the shows I've painted (The largest horse and steer, recent pics of the smallest horse) The pig show has been changed to lighten the traveling load as you can see in the other pics. 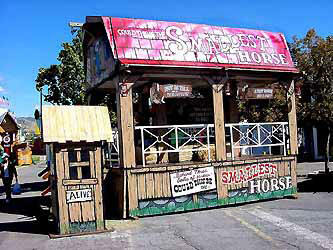 Thanks for helping to keep the Sideshow "ALIVE"